The much waited Dangote oil refinery has approved the Universal Oil Products, Limited Liability Company, UOP LLC technology to operate its world-scale integrated refinery and petrochemical plant slated for Lekki, in Lagos. UOP LLC, a sister company of Honeywell International Incorporation made this known in a statement on its website, asserting that its process technology, catalysts and proprietary equipment would form the basis for the largest refinery in Africa, which is aimed at reducing Nigeria’s dependence on imported fuels and petrochemicals. The proposed oil refinery situated in Ibeju-Lekki, Lagos is expected to be functional by the first half of 2018, with an estimated production template of about 500,000 barrels per day. 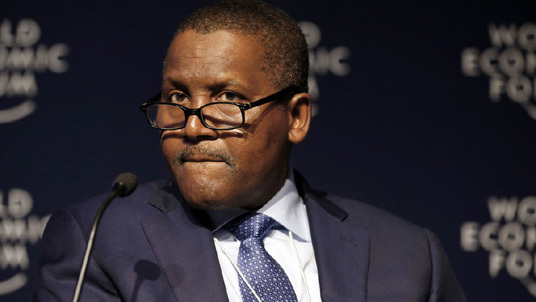 Africa’s richest man and President, Dangote Group, Alhaji Aliko Dangote, had in March announced that the facility would produce 650,000 barrels per day of crude, up from the 450,000bpd initially planned. With this capacity, the refinery is described as the largest single refinery in Africa. Nigeria, Africa’s top oil producer with the second largest amount of proven oil reserves on the continent, currently imports most of its refined product requirements due to lack of domestic refining capacity. Senior Vice-President and General Manager of UOP’s Process, Technology and Equipment business, Pete Piotrowski, said: “UOP has been designing state-of-the-art refineries and petrochemical plants for more than a century, so we are well-equipped to help Nigeria develop a massive new installation to meet its domestic needs. In addition, Dangote Industries’ operations Director for Petroleum Refining, Mr. George Nicolaides, had earlier assured that the site is being cleared and the plant is at detailed engineering level with estimations that it would be completed and start operation by 2018. He said the Dangote group secured a $3.3 billion loan with 12 Nigerian and foreign lenders to build the refinery as well as a petrochemical and fertilizer complex costing a total of 1.7 trillion ($9 billion). (Opinion) Employee, employer, and empowerer: Pathways to Success and Impact in an Uncertain World, by Tony O. Elumelu C.O.N.